Are you feeling wrecked before you even step into the gym? Do you hit the wall when you’re only half way through your workout? 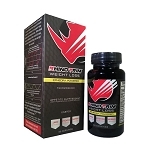 Want to amplify your energy levels and fat burning at the same time? Introducing Black Spider Pre-Workout by Cloma Pharma. Black Spider Pre-Workout was made for those who are serious about hitting the gym but can’t seem to find the energy at the end of the day. You can even use it to start your day and dramatically boost your productivity. Black Spider Pre-Workout contains 25 mg of ephedra. 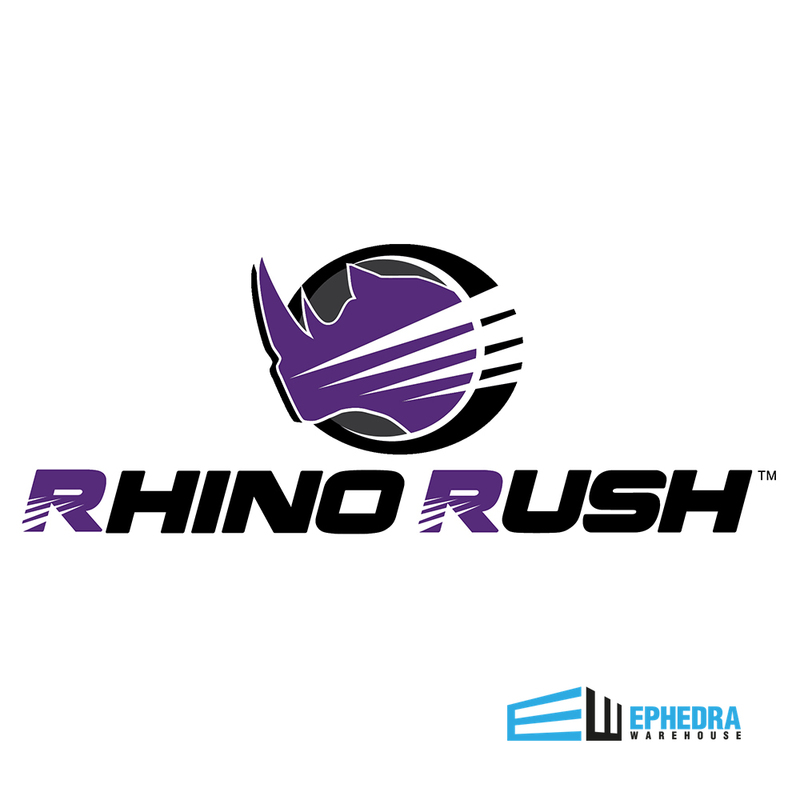 This is the sweet spot for those who have no experience with ephedra. It provides the boost you need without sending your body into overdrive. On top of ephedra, you’ll get a variety of herbal thermogenics including theobromine, panax ginseng, and white willow bark. WHY IS BLACK SPIDER PRE-WORKOUT SO EFFECTIVE? Black Spider Pre-Workout is effective because it’s backed up by a number of scientifically proven ingredients. Aside from ephedra, which is the star of the show, here are just a few of the big hitters you’ll see included. WHO IS BLACK SPIDER PRE-WORKOUT IDEAL FOR? Black Spider Pre-Workout isn’t limited to just one type of person. As a well-rounded thermogenic with a modest amount of ephedra Black Spider Pre-Workout could be an excellent addition to so many. Do any of these descriptions match you? If so, Black Spider Pre-Workout may be just what you need. SHOULD I TAKE BLACK SPIDER PRE-WORKOUT WITH ANOTHER SUPPLEMENT? Because of the high energy content of Black Spider Pre-Workout, it’s best not to combine Black Spider Pre-Workout with any other caffeine or Ephedra-based products. Want more advice on the best pre-workout stack? Contact Us. IS IT SAFE TO TAKE BLACK SPIDER PRE-WORKOUT? Black Spider Pre-Workout is considered generally safe. As with many dietary supplements, you may experience increased heart rate and blood pressure. For most, this isn’t something you’ll notice. For those with prior medical conditions, this may be problematic. Have a history with your heart? Check with your doctor before taking Black Spider Pre-Workout. 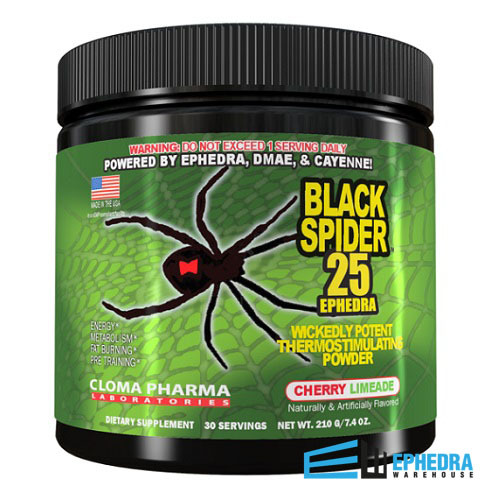 If your looking for a pre-workout with Ephedra, Black Spider is definitely a product to try. 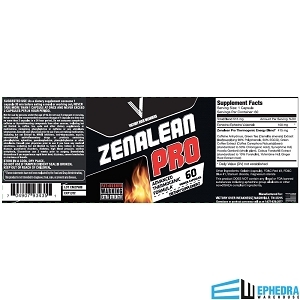 It contains many ingredients, and is one of the newest ephedra pre-workouts on the market. 1. Kennedy DO, Haskell CF, Wesnes KA, Scholey AB. Improved cognitive performance in human volunteers following administration of guarana (Paullinia cupana) extract: comparison and interaction with Panax ginseng. Pharmacol Biochem Behav. 2004 Nov;79(3):401-11. 3. Mi-Young Song, Bong-Soo Kim, and Hojun Kim. Influence of Panax ginseng on obesity and gut microbiota in obese middle-aged Korean women. J Ginseng Res. 2014 Apr; 38(2): 106–115. 4. Judith S. Stern; Jan Peerson; Artatrana T. Mishra; Venkata Sadasiva Rao Mathukumalli; Poorna Rajeswari Konda. Efficacy and Tolerability of an Herbal Formulation for Weight Management. J Med Food. 2013 Jun; 16(6): 529–537. 5. Venables MC, Hulston CJ, Cox HR, Jeukendrup AE. Green tea extract ingestion, fat oxidation, and glucose tolerance in healthy humans. Am J Clin Nutr. 2008 Mar;87(3):778-84. 6. MU Eteng, HA Ibekwe, UI Umoh, PE Ebong, IB Umoh, EU Eyong. Theobromine rich cocoa powder induces weight loss and changes in lipid profile of obese wistar rats. Discovery and Innovation Vol. 18 (3) 2006: pp. 191-196. 7. Kennedy DO, Scholey AB, Wesnes KA. Modulation of cognition and mood following administration of single doses of Ginkgo biloba, ginseng, and a ginkgo/ginseng combinatin to healthy young adults. Physiol Behav. 2002 Apr 15; 75(5):739-51. 8. Reay JL, Scholey AB, Kennedy DO. Panax ginseng (G115) improves aspects of working memory performance and subjective ratings of calmness in healthy young adults. Hum Psychopharmacol. 2010 Aug:25(6):462-72. Definitely a legit pre workout. Better then the ones you buy at Stores without question. Q: How much caffine does this have in it ? A: One scoop contains 300 mg caffeine anhydrous. Was this answer helpful? 9 of 10 Customer(s) found this Answer helpful. early in the morning each day. For energy, take 1 serving when needed.